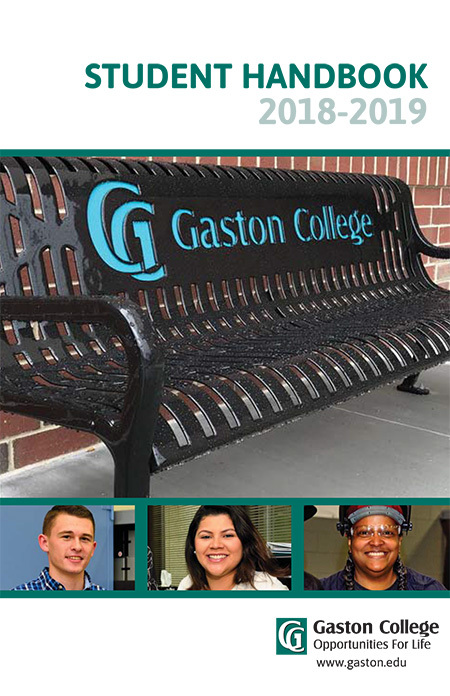 The Counseling and Career Development Center provides academic, career, and personal counseling services and academic advising to Gaston College students. The center also provides career assessments (skills, interest, personality, and values inventories), college-transfer information, and disability services. The Counseling Center is located on the second floor of the Myers Center at the Dallas Campus. Counselors are available to meet with students on the Kimbrell Campus by appointment and a counselor is on staff at the Lincoln Campus. All services are free and confidential. The counseling staff provides career guidance to students who need help with making decisions regarding educational and career goals. Counselors use a variety of interest inventories and online resources to assist students in the career exploration process. The GC Career Portal is available to help students find good careers by providing the most current local data on wages, employment, job postings, and associated education and training. Students can access the Career Portal from the College's homepage at www.gaston.edu. The majority of new students enrolling at Gaston College are advised in the Counseling Center during their first semester. Pre-health, undecided, and special credit students are advised by counseling staff beyond their initial semester. The Transfer Advising Center helps students in planning and completion of Associate in Arts, Associate in Science, and Associate in Fine Arts degrees at Gaston College. Academic advising is an integral part of student success. It is recommended that continuing students meet with their assigned advisor on a regular basis to review academic plans and progress. The Counseling and Career Development Center will assist and advise students with documented disabilities in arranging academic support and reasonable accommodations. Accommodations will be arranged on an individual basis, specific to the student's needs. The Counseling Center's goal is to provide students with disabilities with necessary accommodations so they may compete on an equal basis in the classroom with their peers. Students must meet with the Special Needs Counselor and provide all necessary documentation prior to receiving accommodations. Thereafter, students will need to meet with the Special Needs Counselor each semester to renew the accommodation plan and continue to receive their accommodations. The Counseling Center serves as a resource to students, faculty, and staff on issues related to compliance with the Americans with Disabilities Act of 1990, the Americans with Disabilities Amendment Act of 2008, and Section 504 of the Rehabilitation Act of 1973. For more information, contact the Special Needs Counselor at 704.922.6224. The Counseling Center is located on the second floor of the Myers Center. For information regarding students' rights, responsibilities, documentation guidelines, accommodations, and other resources, please refer to The Student Guide to Disability Policies & Procedures. This guide is available in the Office of Student Affairs and on the College website. Students who need reasonable accommodations based on a documented disability or special need are responsible for requesting the accommodations with personnel in the Counseling and Career Development Center at Gaston College. Specific information can be provided by the Special Needs Counselor at 704.922.6224. Documentation that describes the disability or condition; is no older than three years; is written on official letterhead; and is dated and signed by a licensed physician, psychiatrist, psychologist, other credentialed professional, or appropriate agency. The documentation should provide a comprehensive evaluation of all disabilities that impact the student's learning in a post-secondary/college environment, as well as suggested accommodations that are specific to the student's learning needs. Prescription notes, IEP's, or 504 plans are not accepted as appropriate documentation but may be included as part of the comprehensive evaluation. A completed Confidential Student Disclosure Form. Once the appropriate documentation has been received and reviewed, the student will meet with the Special Needs Counselor to develop an accommodation plan. When discussing the accommodation plan, the counselor and student will determine reasonable accommodations based on the documentation provided. The counselor will then prepare Letters of Accommodation which will be sent to the student's current instructors. An updated accommodation plan must be completed by the student and the Special Needs Counselor each semester, preferably prior to the start of classes, in order for students to access their accommodations. It may take up to two weeks to arrange some accommodations. Gaston College promotes student self-advocacy. Students will be advised to discuss their special accommodations with each of their instructors. This philosophy promotes independence and develops the skills that students will need to function successfully in future work settings. The Special Needs Counselor is available for faculty consultation and meetings with students and faculty upon request. The Counseling Center will maintain copies of all documentation and disability correspondence in the student's confidential file located within the Counseling Center.